Planning a wedding is one of the most exciting things a couple will ever do together, but it can also be overwhelming and stressful! As a wedding photographer I have helped more than 50 couples plan their wedding day, and as a former bride there are things I know went well and there are things I wish we had done differently. 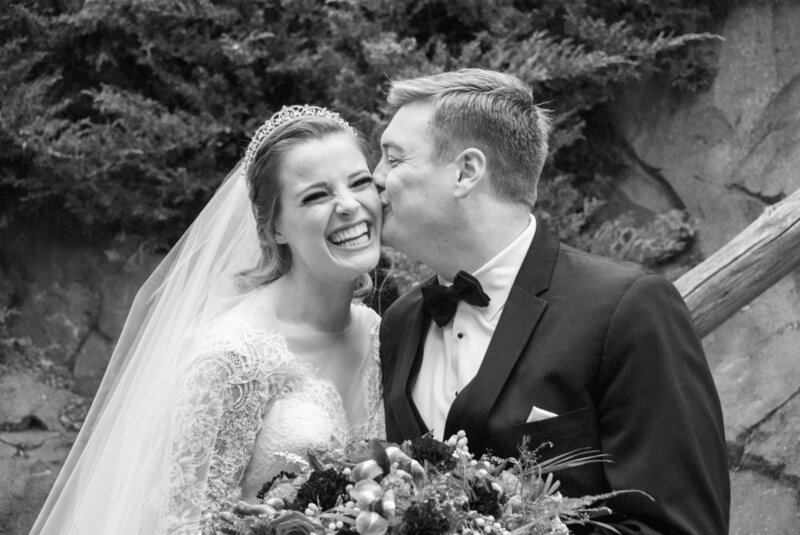 I was never one to dream about my “perfect wedding,” so when I got engaged I had no idea what I wanted or where to begin planning or gathering information. The first thing I did was go out and get a giant wedding planning binder to keep all of my research and ideas. My husband was really interested and involved in helping plan, which I LOVED, because I believe a wedding should be a collaborative effort so that the final result reflects the couple’s personality together. I truly believe that if you can plan a wedding together, you have what it takes for successful marriage! You will have to express your ideas together, learn how to compromise, deal with stressful situations, make important financial decisions and problem solve. Do you want “getting ready “photos? If so, does that include photos at the salon/hotel or do you just want just the final touches as you put your dress on at the venue? What details do you want photographed (i.e. dress, flowers, rings, shoes, etc.)? Build in some extra time before you need those items for those images. When will formal portraits of your family, wedding party and the couple be taken? When does your ceremony start? When does the last moment you want captured at the end of the night start and end (i.e. first dance, bouquet toss, dollar dance, sparklers exit, etc.)? Sometimes it’s easiest to start at the end of the day and work your timeline backwards! These questions are important to ask yourselves when making your timeline for the day. I have my photography packages start at 6 hours at a minimum; I like to be there for as much of the day as possible because it tells the full story of the day. Generally speaking, I recommend 7 or 8 hours of coverage; it’s better to have more coverage than not enough and many photographers charge more hourly for overtime hours and require the additional charges on the day of the wedding, which can mess with your budget. It’s more stressful to realize you didn’t book enough hours of photography coverage on the day of your wedding and have to make decisions while you’re trying to enjoy your wedding, rather than making decisions ahead of time! This is a big one for most couples. Wedding photography is one of the best investments you can make for your wedding day because the photos are all you’ll have left to help you remember every detail of your wedding! So much goes into planning it but the day itself goes by SO FAST! Consider what the package includes and what your needs are; hours of coverage, whether a second photographer is included in the package, and how the images are given to you (along with copyrights). Can you make payments leading up to the wedding day or is it all due at once? Is there a deposit due to hold your date? If necessary, are there extra travel costs? I am always willing to work with my clients and figure out what works best for them, including payment plans! Having a second photographer can be extremely helpful and is often included in photography packages. Every package through Carmella Bella Photography includes a second photographer! Some photographers charge more per hour for a second photographer. In my opinion, hiring a second photographer is well worth it. 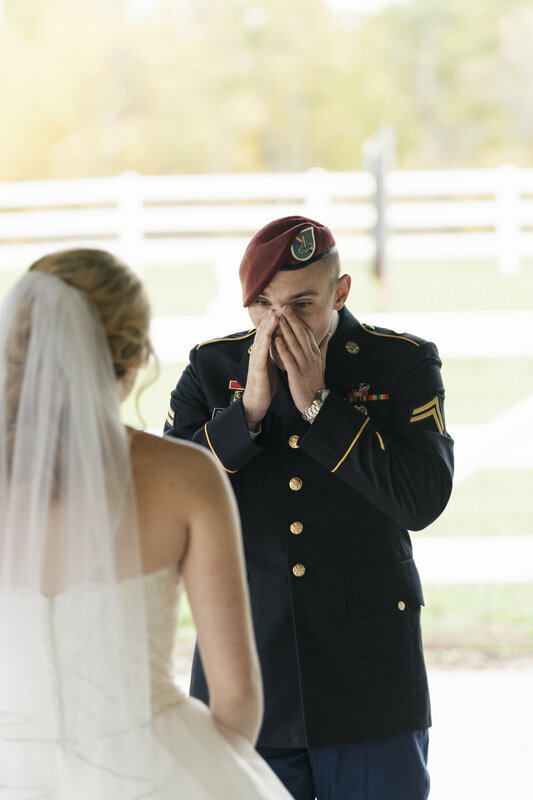 A second photographer can get different angles of the moments like the first look. The first photographer can get shots of the bride getting ready while the second photographer photographs the groom. This can help the lead photographer capture more images in a shorter time frame. While the first photographer is off getting the main images and focusing on the “must have” photos, the second photographer can get shots of the guests enjoying cocktail hour, candid moments happening that you aren’t aware of, details of the venues, guests’ reactions to the ceremony and different angles and perspectives. Some of my favorite shots from my wedding day ended up being shots taken by the second photographer! Every package from Carmella Bella Photography includes partial ownership and copyrights to all of your wedding photos! One of the biggest complaints I hear from couples after receiving their wedding photos from other photographers is, “THEY’RE ALL WATERMARKED!” This means that their photographer placed their logo prominently across every image in the gallery and that you have to purchase individual favorite images in order to receive those images without watermarks on them, in addition to the package you already purchased and the prints you want to make. In my opinion, this is not the right way to run a wedding photography business! All of my packages include an image gallery online without watermarks. All of my clients are co-owners of their images ; this means your photographer is the copyright owner and the clients have a limited copyright release. I can use the images for promotional use on my website, social media, etc, and you have permission to, print, post copy and download your images at no additional cost. If you have concerns about your photographer using your images for promotional use, discuss that ahead of time and come to an understanding of terms. An important thing to consider is how many images your package will include and how they will be delivered. On average, I will hand over 100 images per hour of edited images from the day (i.e. for 6 hours of photography coverage you will receive about 600 images). The files I hand over are high - quality JPEG files on an online gallery for downloading; the images are sorted into folders based on events throughout the day! I don’t give my couples every unedited image that is taken from their wedding. Between me and a second photographer, we might take anywhere from 1500 - 2500 images in RAW format, meaning the files are HUGE and there are a ton of them. That many images can be overwhelming to go through and consists of duplicates, test shots, etc. It’s my job to sort through all of that and give you all the best shots from the day and make them look beautiful! ﻿One thing each couple should consider with their wedding photography package is an engagement session. 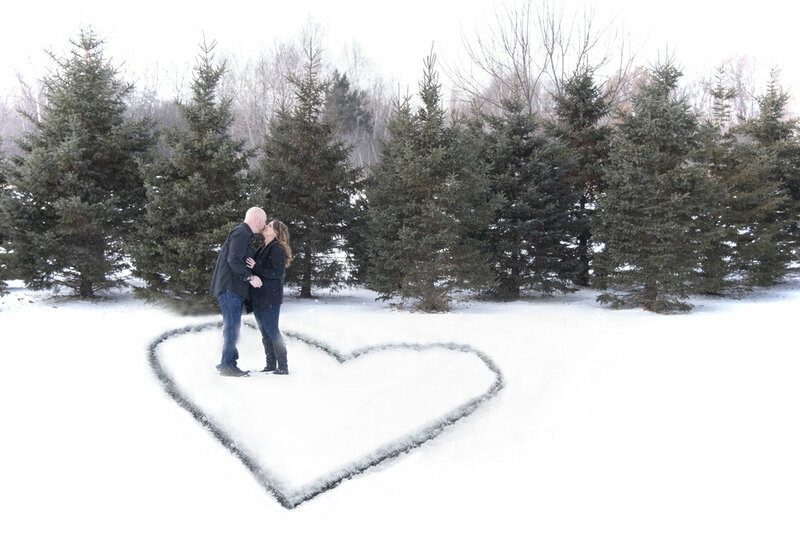 An engagement session can be a fun way to meet your photographer, get an idea of their style, get comfortable in front of the camera and see how images are delivered. The images you get from an engagement session can be used for Save the Date announcements to your wedding guests, to create a photo guest book to set out at your reception, to frame and use as wedding decor, and for your wedding invitations. My packages do not automatically include an engagement session but can be added to any wedding photography package for an additional $200. I really love when a couple books an engagement session with me because it allows me to get to know the coupe, have some fun with them, play around with poses and get to know their style! It makes the wedding day that much less stressful and helps build a comfortable relationship between us. Many photographers will include a guaranteed number of weeks that you will receive your images after your wedding day. Typically, this time frame is between 4 - 8 weeks because wedding photographers get backed up during prime wedding season. I guarantee your images will be given to you between 1 - 2 weeks of your wedding day, and you will be given a preview of a few chosen images (by me) on my Facebook page! I also include a blog post on my website with a slideshow of “the best” images that tell the story from your day once the full gallery is live! I do this because I understand the excitement of getting your wedding images back and I don’t believe a couple should have to wait too long for their images. I work hard to ensure that some of your instant gratification is met and that you get your gallery ASAP! Every professional photographer has filters that they use to give their photos a special “look” that fits their artistic style. This should be included in your package! After choosing the final images, I select a number of photos to do special edits on, such as black and white or a special effect.